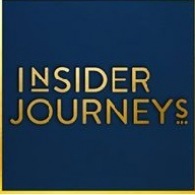 Average rating of 5.0 for all Insider Journeys trips. BURMA - INLE LAKE: The tranquil Inle Lake is located in Burma's Shan State, and is home unique fish species and prolific bird life. Many of the communities who live in villages surrounding the lake are from Burma's various ethnic minority groups, such as the Danu and Bamar people. Enjoy a boat ride on the lake, visit nearby monasteries, and look for the distinct woven bags and silk fabrics made in the area. BURMA - IRRAWADDY RIVER: Embark on a boat ride on one of the country's most significant waterways, the Irrawaddy River. Stop at rural villages, local pagodas and to see intricate carvings at Kyauk Gu U Min. The river is home to the endangered Irrawaddy dolphin, who are under threat from dam construction. The river eventually flows into the Andaman Sea via the Irrawaddy Delta. BURMA - LOCAL MARKETS: Experience Burma's local life, colorful produce and fantastic array of local handicrafts in its numerous fascinating markets. Near Inle Lake, frequent a local market where many diverse ethnic minority groups gather, and in Yangon and Mandalay, search for exquisite examples of Burmese lacquerware, fabrics and other eye-catching merchandise. Enjoy interacting with Burma's warm, friendly people as you peruse their wares. BURMA - SAGAING HILL: Sagaing Hill, located outside Mandalay, is an important religious center. It is home to numerous pagodas and monasteries amongst its hills, and is a highly picturesque and spiritual place to explore. The site is located on the banks of the Irrawaddy River, with the buildings spread amongst lush, tropical foliage. Visit a local nunnery, and explore some of the 600 whitewashed pagodas and monasteries. BURMA - SHWEDAGON PAGODA: Burma's striking Shwedagon Pagoda has a sparkling golden stupa which can be seen from all over Yangon. It is considered one of the most sacred Buddhist sites in Burma. It contains various ancient relics, and you can witness devout locals going about various rituals on their visit. All visitors should remove their shoes before the first step at any of the entrances. BURMA - HILLTRIBE EXPERIENCE: Embark on a trek beyond the shores of Inle Lake to visit various hilltribe villages, home to Burma's numerous ethnic minority groups including the Intha and Pa-O people. You can also take in a Shan cooking school, or pay a visit to a local orphanage. Learn more about the different cultures that make Burma home, and gain insights into their traditions and way of life.